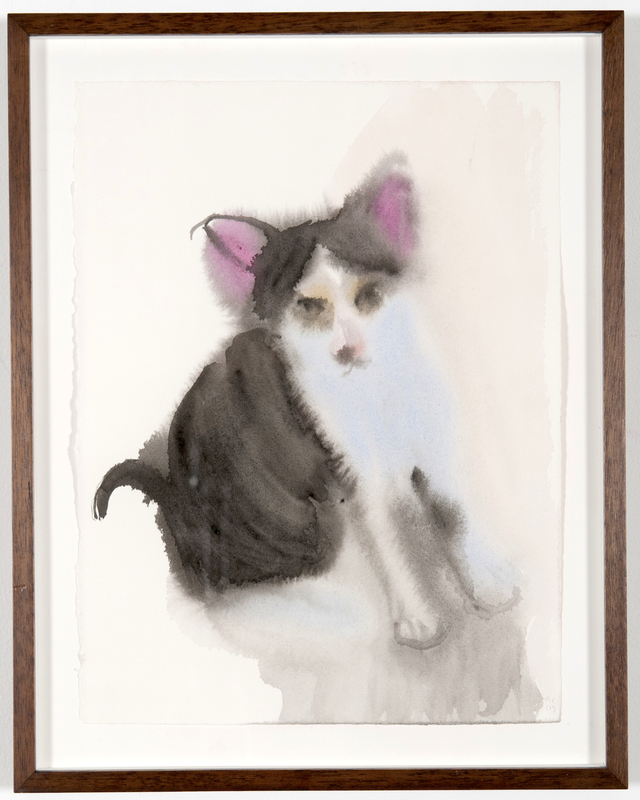 Working in the field of painting for more than a decade, Ann Craven exhibits on this occasion new paintings and watercolors, many of which are presented for the first time. 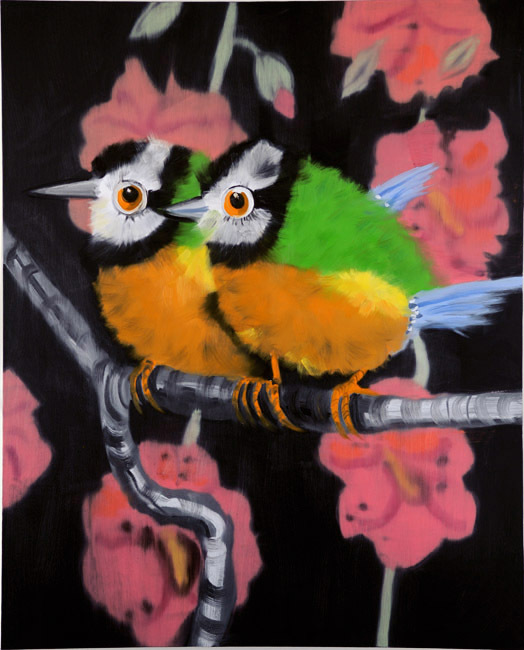 Greeting visitors will be four paintings entitled “Puff, Puff”. 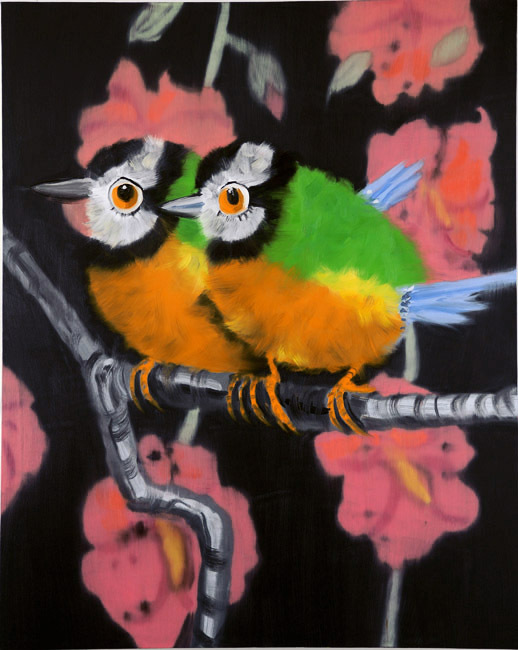 Seemingly identical, differentiated only through their brushwork, they depict exactly the same thing: a couple of birds, one of the major subjects through which Craven engages her characteristic idea of repetition. 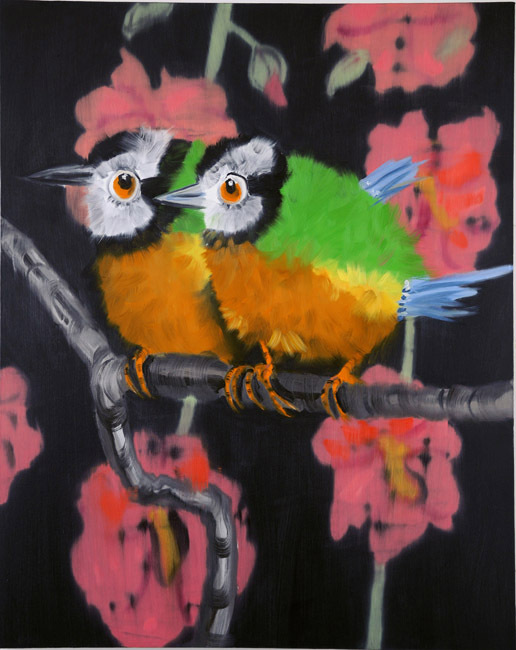 To describe this delicate oscillation between painterly beauty and the legacy of kitsch is the Swedish word “fulsnygg” (ugly-cute), a term that summarizes this complex topic in American culture, which is the basis and the starting point for Craven’s conception of polymorphous painterly proliferations. 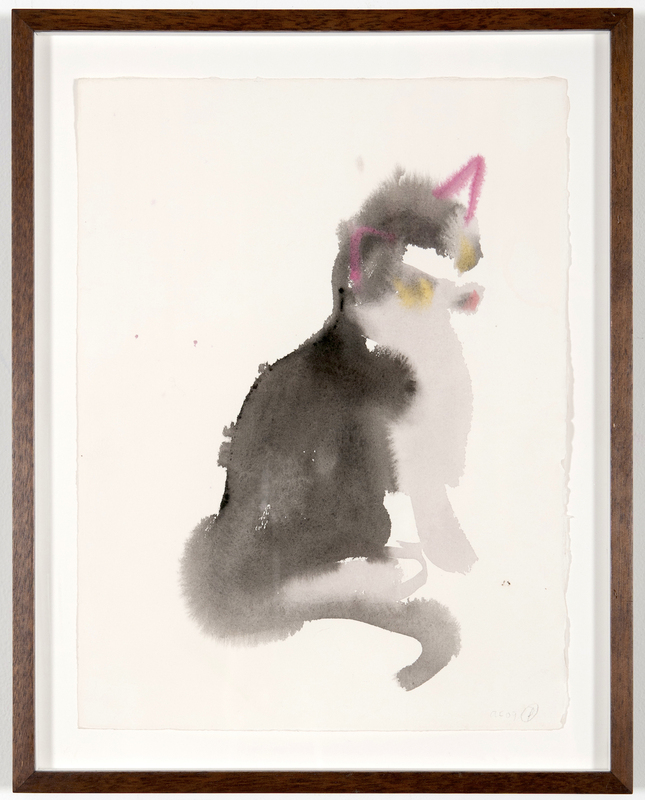 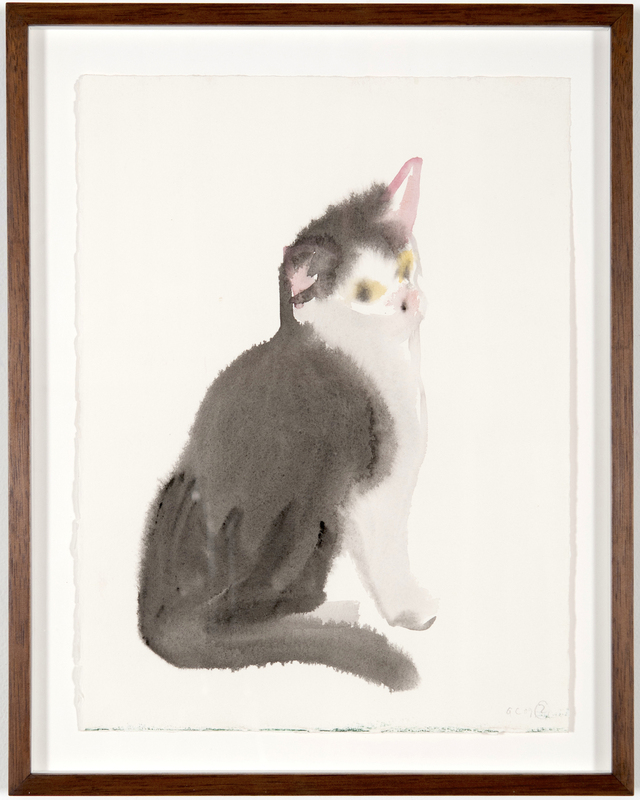 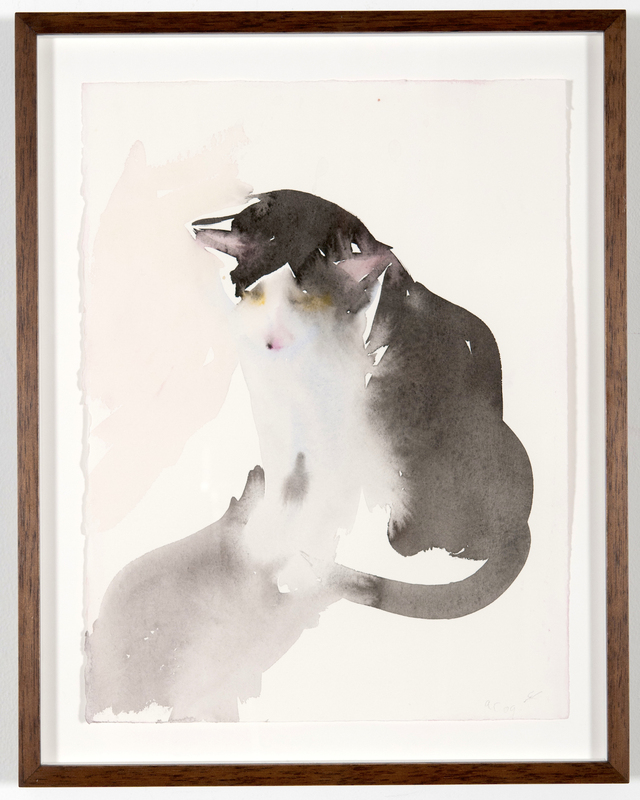 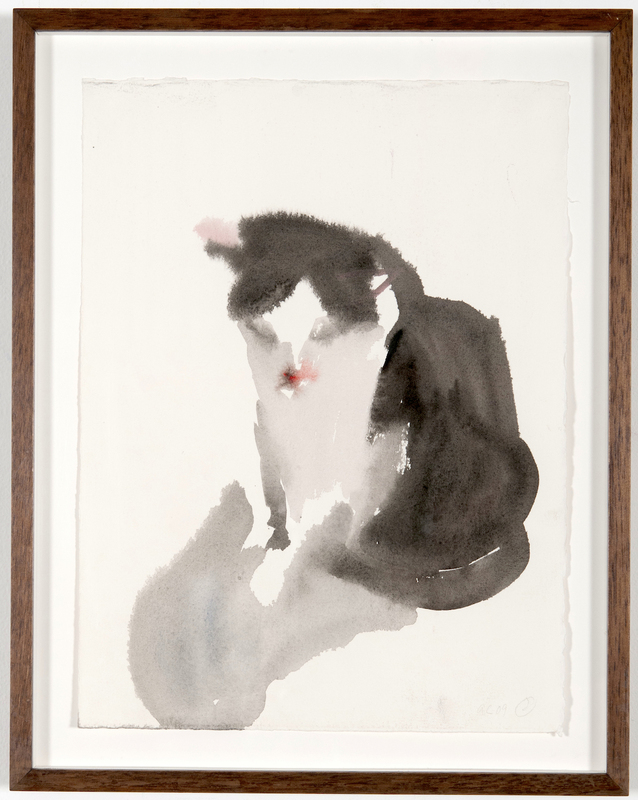 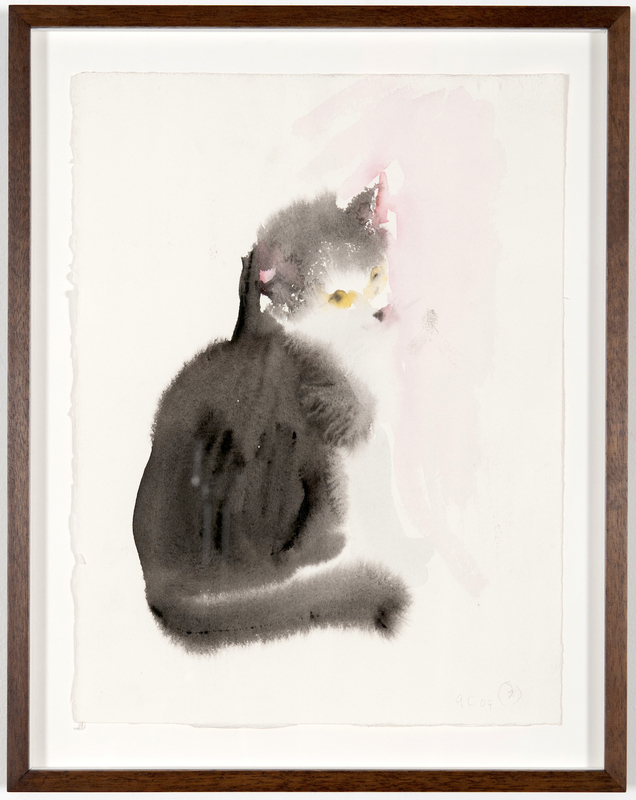 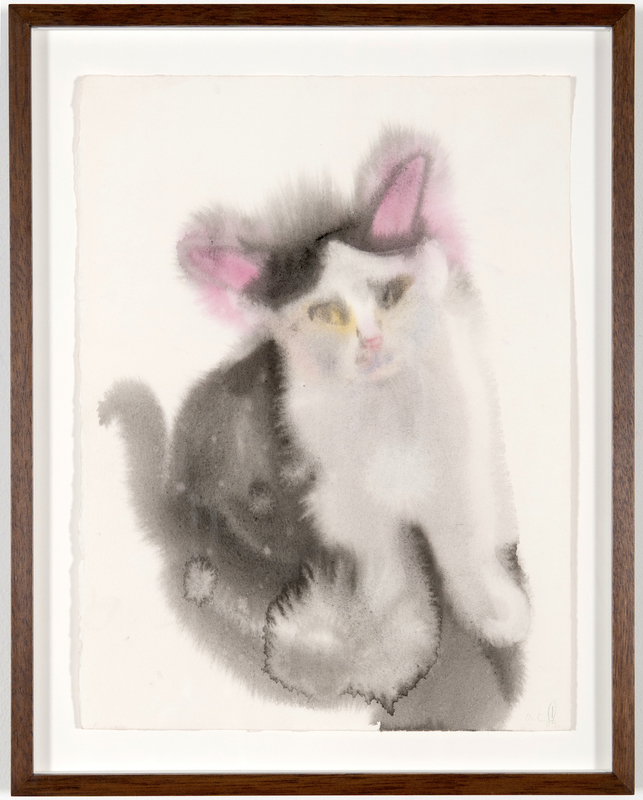 Accompanying this strong presence within the space — which reminds us of an Operais — is a collection of watercolors featuring the artist’s cat and beloved friend Shadow. 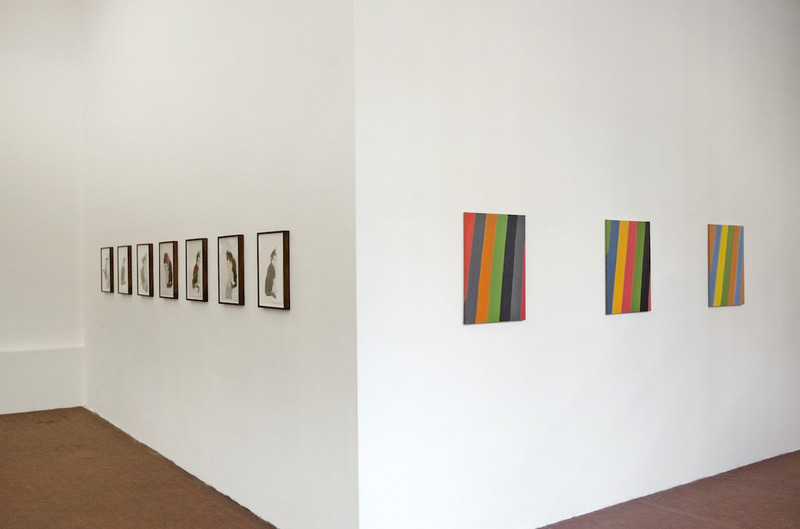 Never exhibited before, this series (conceived like a movie strip) shows again how important the idea of a continuum is within Craven’s production, a deep engagement that goes around and around between universal issues and personal affects. 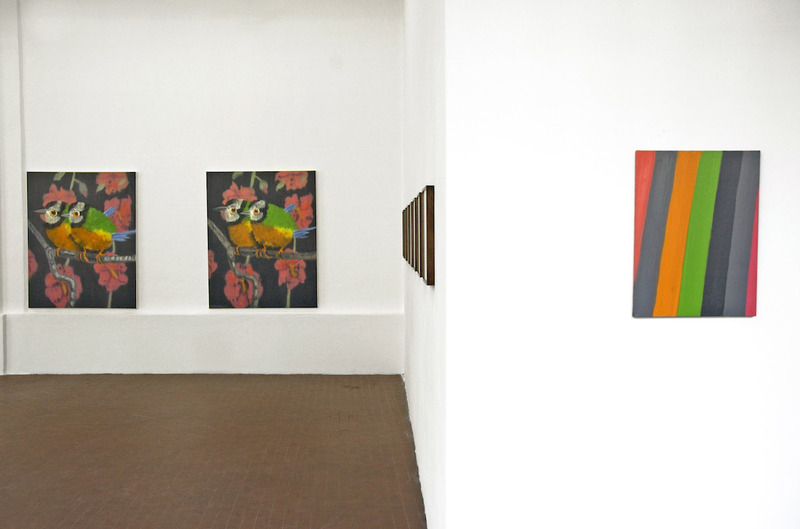 Concluding the show, after this gracious Minuetto, is a diptych hung behind the corner, over the corridor that leads to the storage of the gallery, featuring one Stripe and a “Palette”, the two major series in which the artist structures her oeuvres. 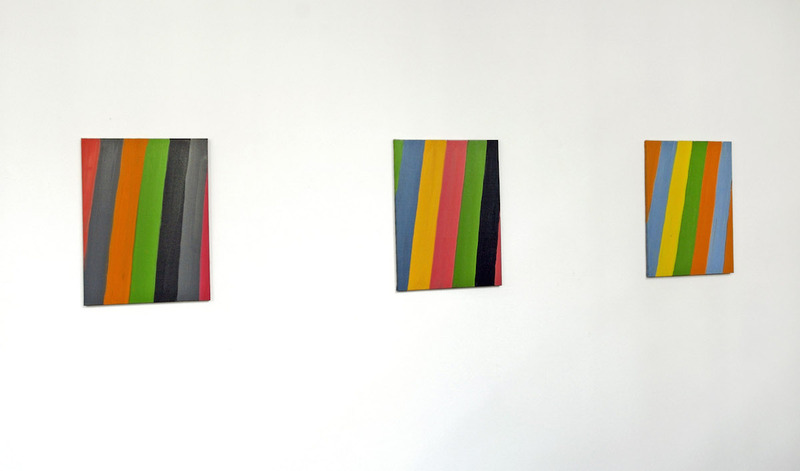 Conceived using the leftover paint from the four paintings that title the show, these small canvases, displayed in order to be seen properly only by children’s eyes, are sort of keynotes for the entire set: they speak about abstraction and the continuous readjustment of the medium of painting in a way that can really be defined as “expanded”. 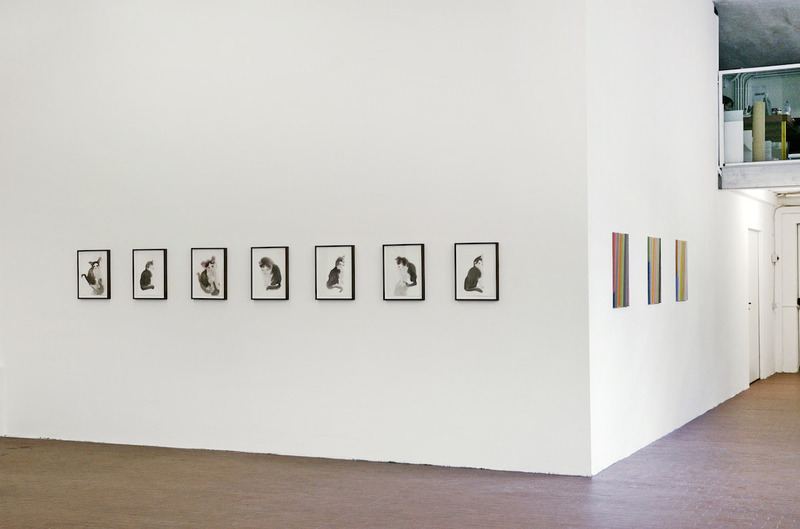 Craven’s new type of “Palette”, displayed here for the first time representing a bird, probably a Phoenix, which will be consumed by the flames, and will be reborn out of the ashes, again (1) and again (2) and again (3) and again (4). 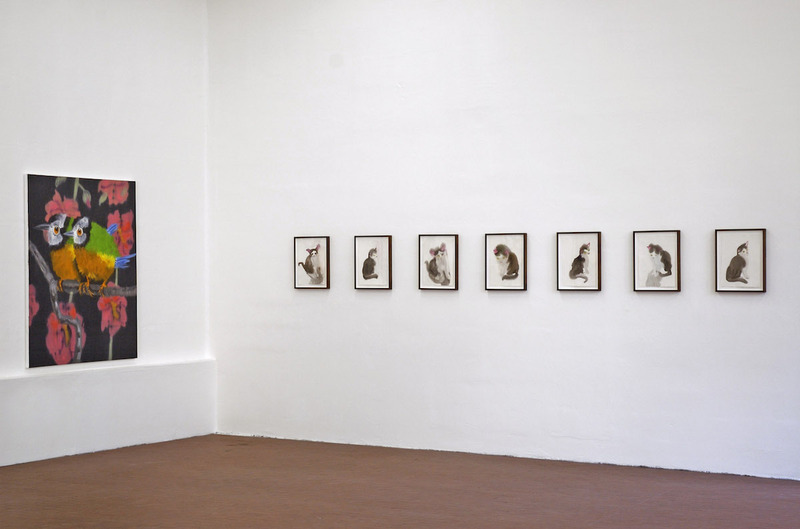 Ann Craven was born in Boston and lives between Harlem and Maine. 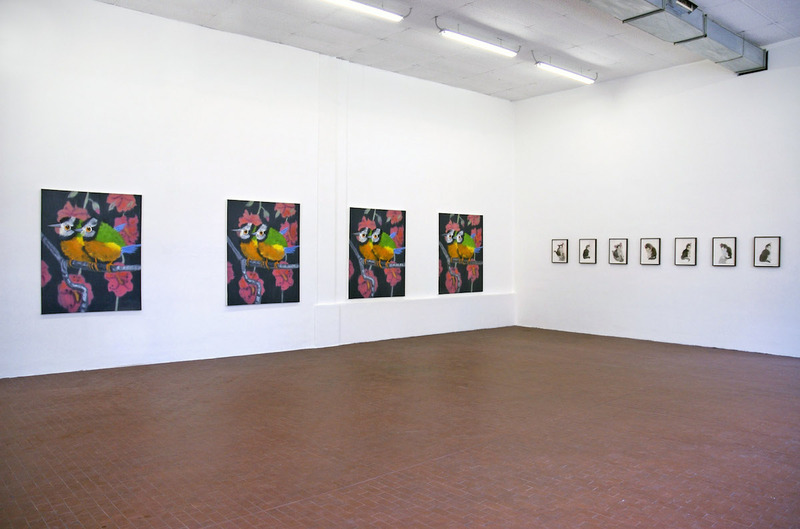 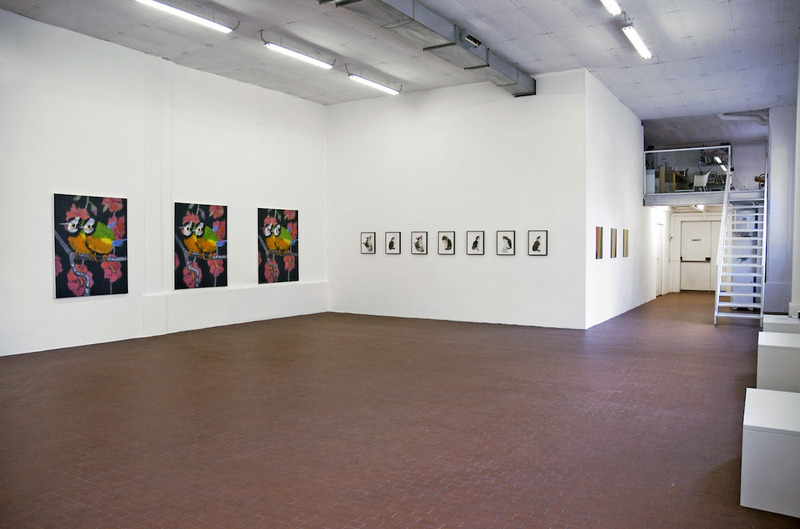 Artists Amy Granat, Matt Keegan and Josh Smith have written about her work, which has been exhibited recently at CIAP in Hasselt, Belguim; the Sculpture Center in New York; Frac-Champagne-Ardenne in Reims France; and the Delaware Center for Contemporary Art in Wilmington Virginia.